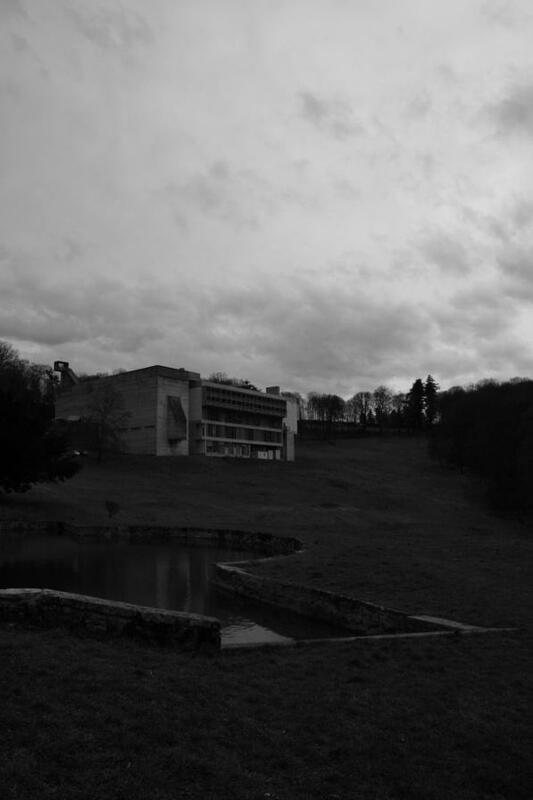 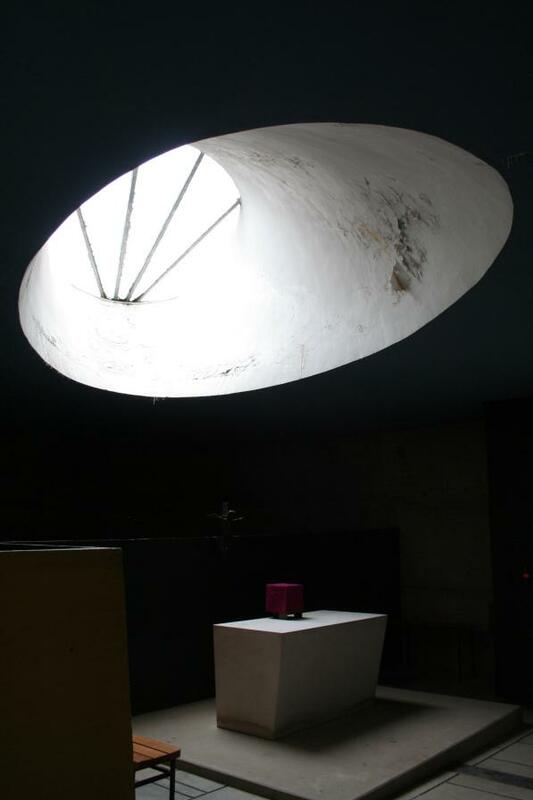 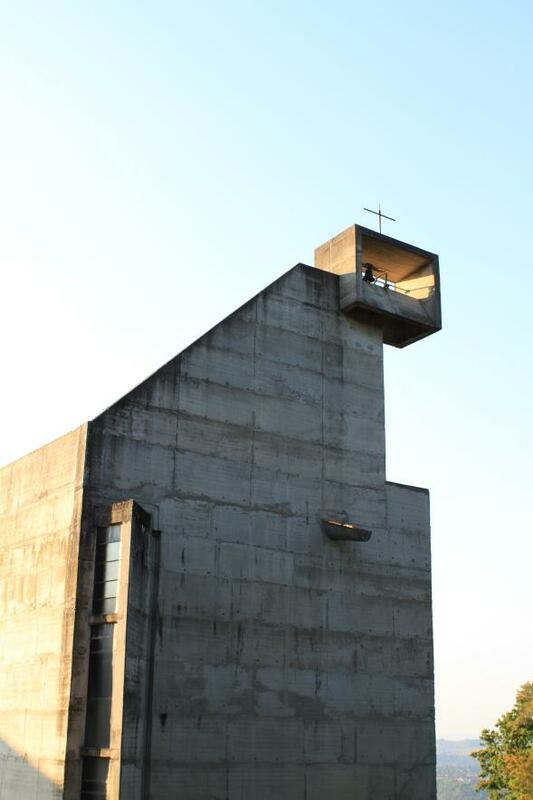 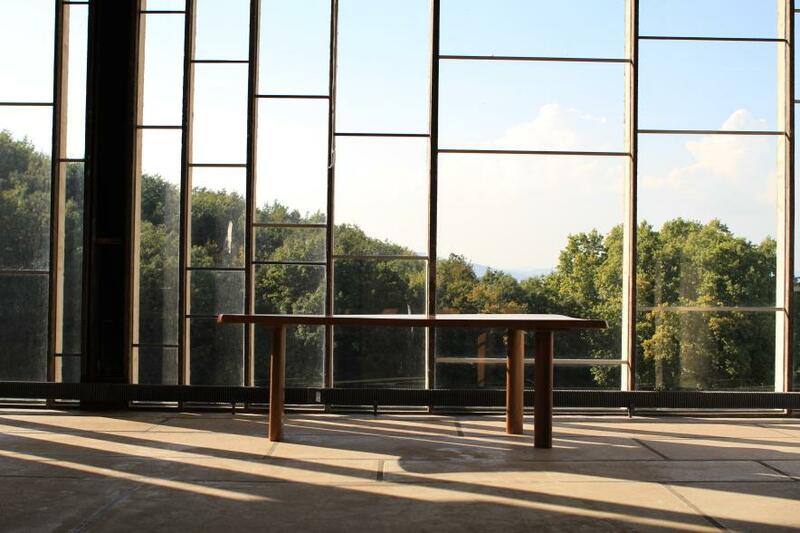 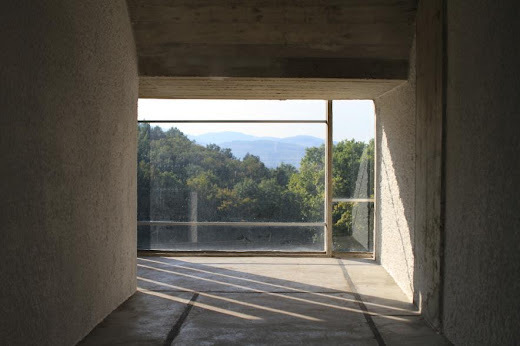 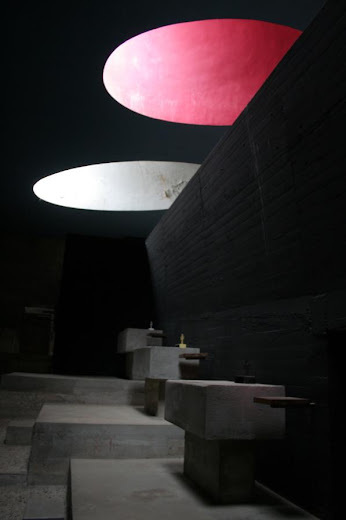 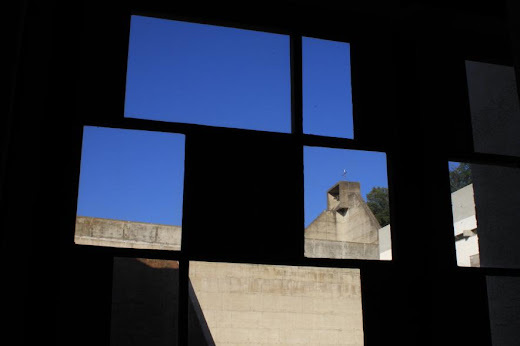 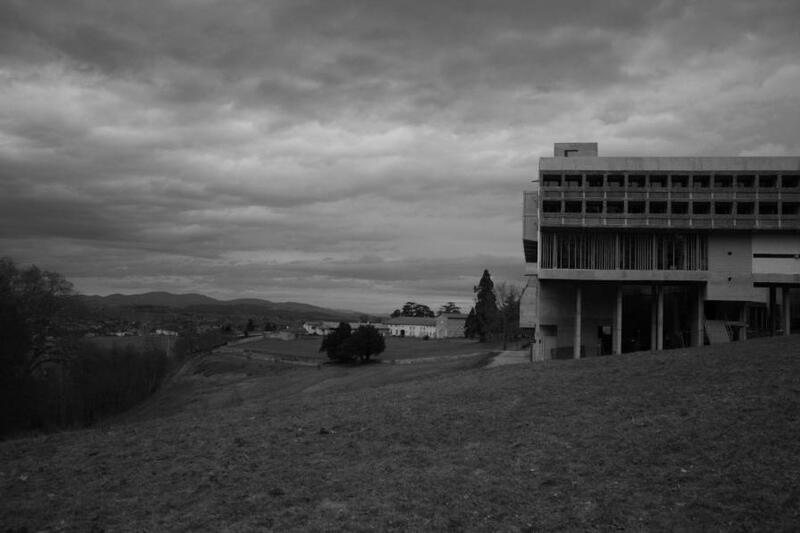 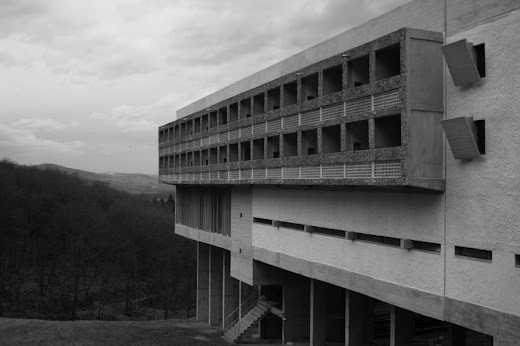 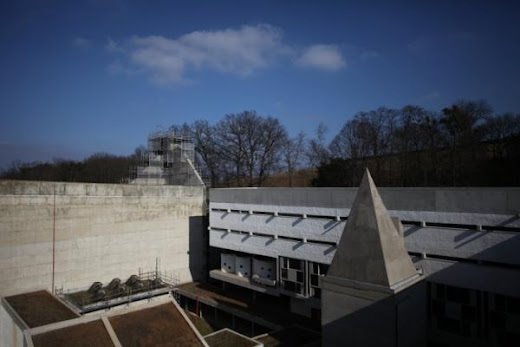 It was under the instigation of Reverend Father Couturier (one of the men who have brought about the reawakening of sacred art in France) that the Dominicans of Lyon have charged Le Corbusier with the task of bringing into being at Eveux-sur-Arbresle, near Lyon, the Convent of La Tourette, in the midst of nature, located in a small vale that opens out onto the forest. 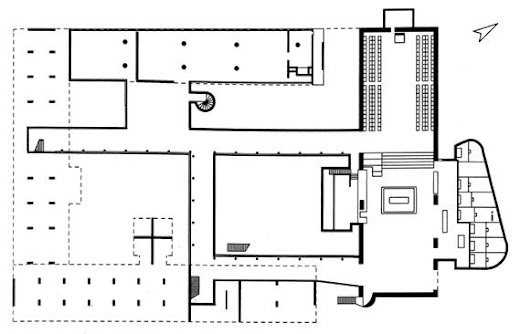 This problem, the program of which is based upon the rules of the Dominican Order established at the beginning of the 13th Century, involves the presence of fundamentally human elements in the ritual as well as in the dimensioning of the spaces (rooms and circulation). 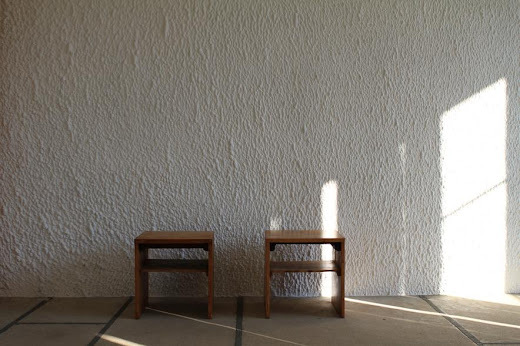 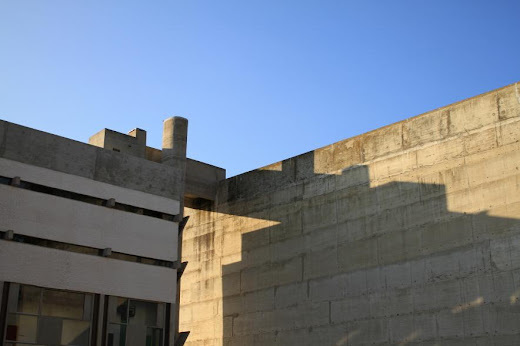 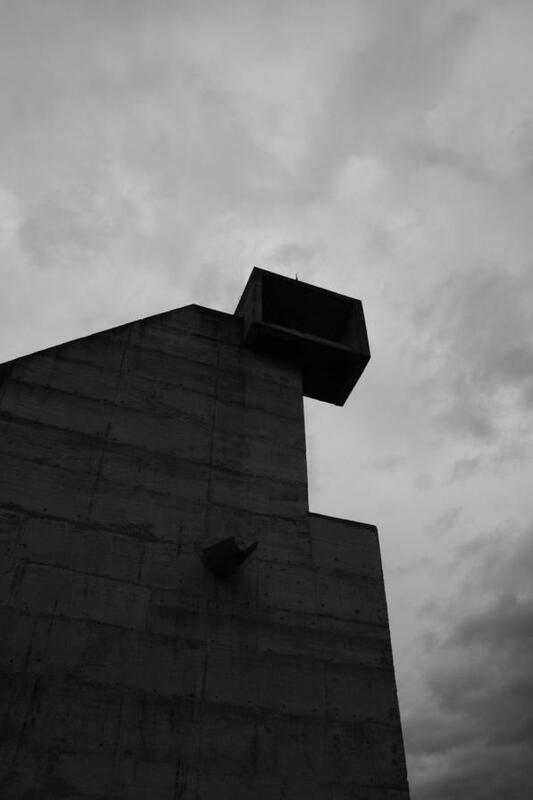 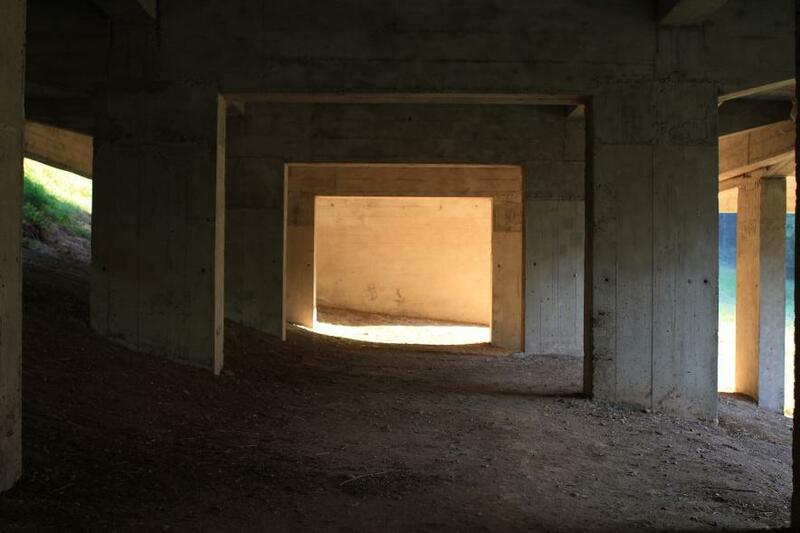 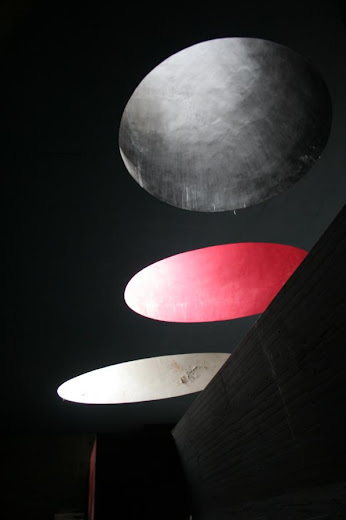 Just as for the Chapel of Ronchamp, Le Corbusier finds here a program of human scale, at the human scale. And it was his friend, the Reverend Father Couturier, who, before his death so brutally intervened, had explained to him some of its profound resonances. 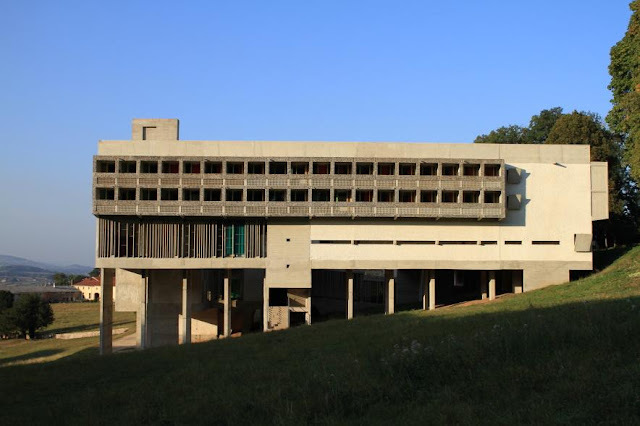 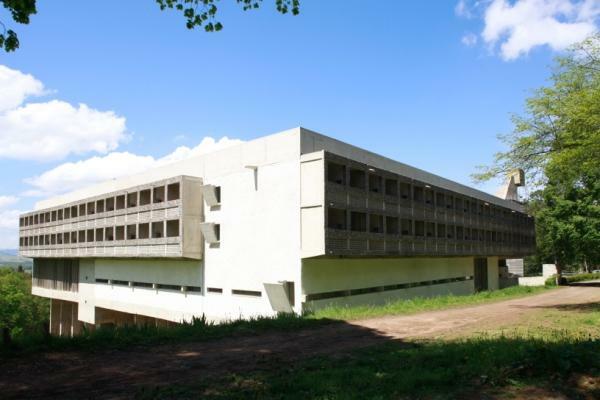 The buildings contain a hundred sleeping rooms for teachers and students, study halls, a hall for work and one for recreation, a library and a refectory. 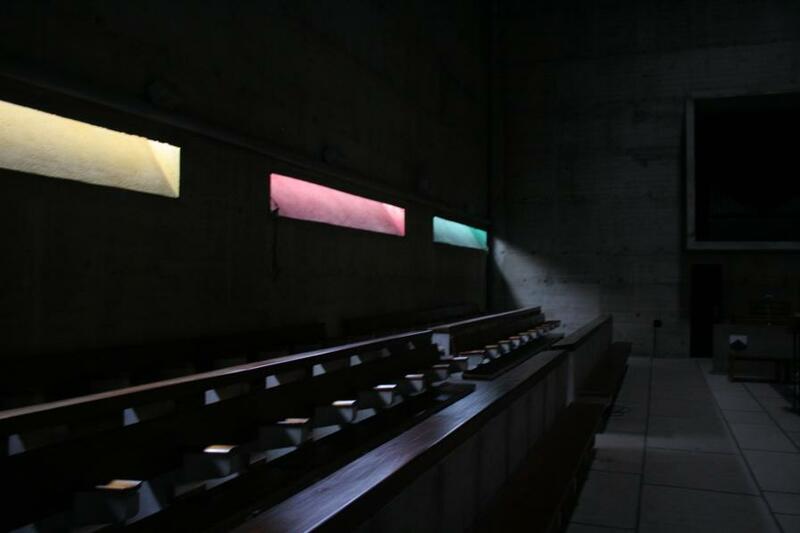 Next tomes the church where the monks carry on alone (on occasion, in the presence of several of the faithful). Finally the circulation connects all the parts, in particular those which appear in a new form (the achievement of the traditional cloister form is rendered impossible here by the slope of the terrain). 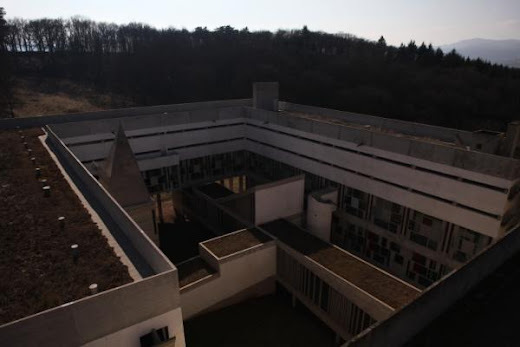 On two levels, the loggias crowning the building (one for each acoustically-isolated monk's tell) form brise-soleil. The study halls, work and recreation halls, as well as the library occupy the upper level. 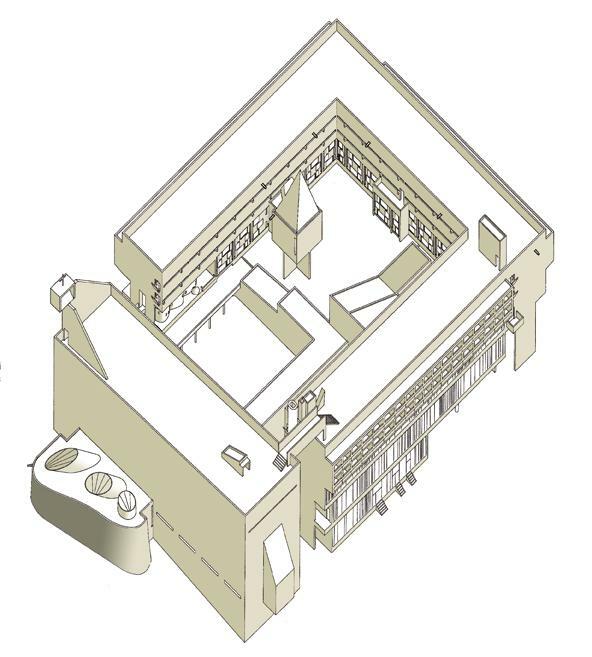 Below are the refectory and the cloister in the form of a cross leading to the church. 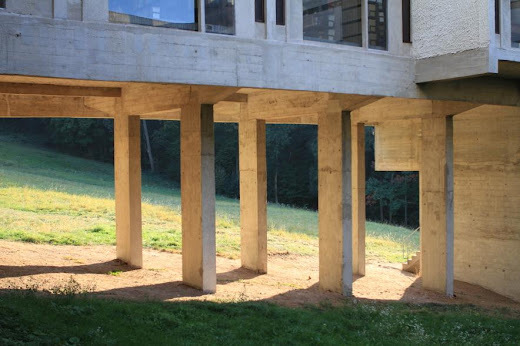 And then come the piles carrying the four convent buildings rising from the slope of the terrain loft in its original condition, without terracing. 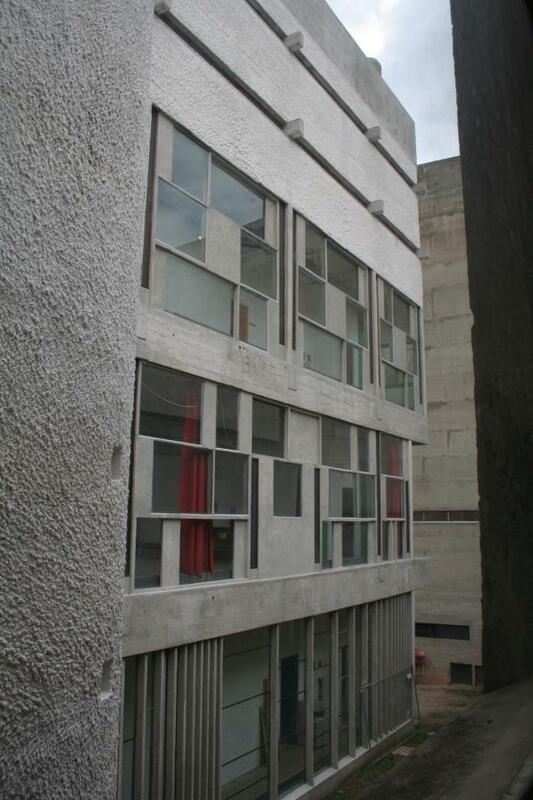 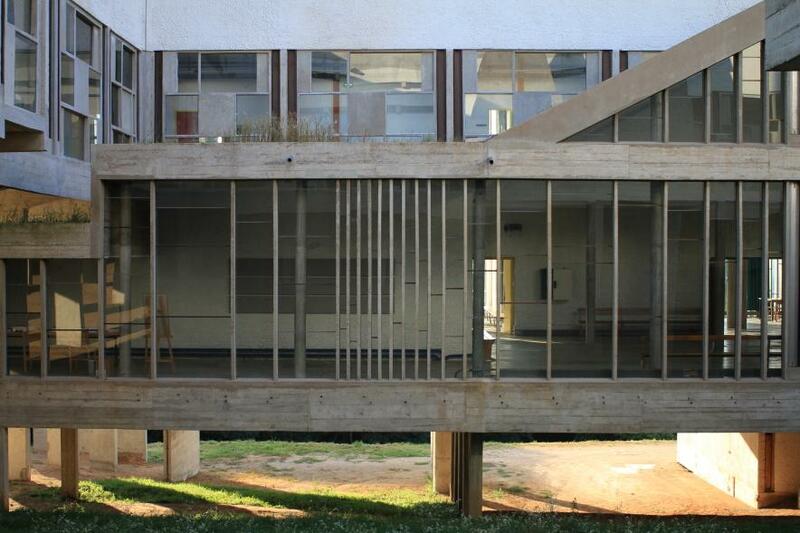 The structural frame is of rough reinforced concrete. 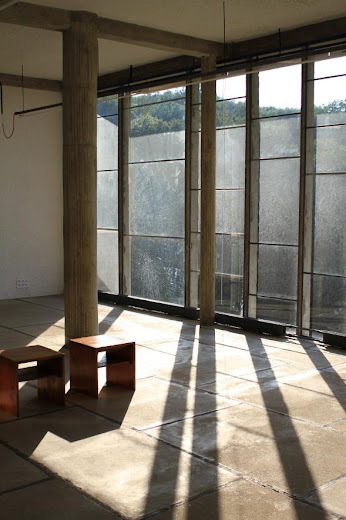 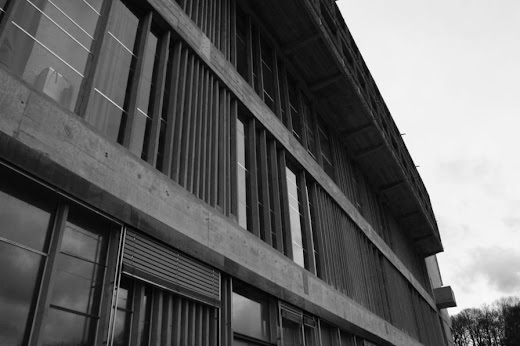 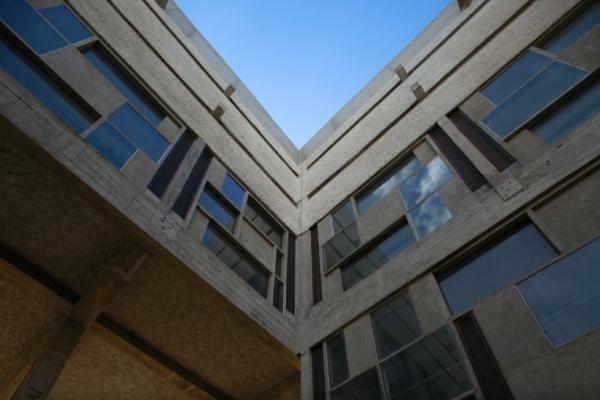 The panes of glass located on the three exterior faces achieve, for the first time, the system called: "the undulatory glass surface" (which is applied as well to the Secretariat at Chandigarh). 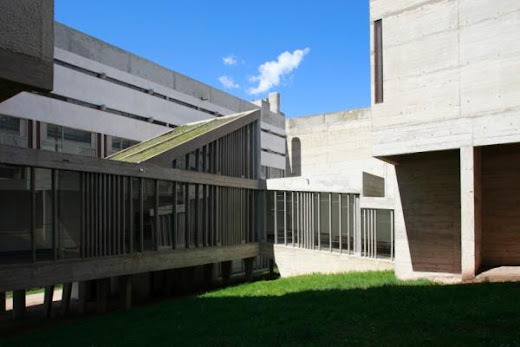 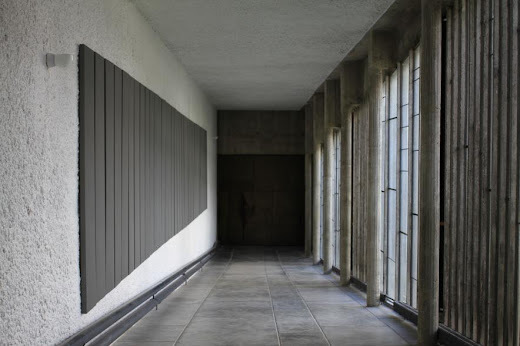 On the other hand, in the garden-court of the cloister, the fenestration is composed of large concrete elements reaching from floor to ceiling, perforated with glazed voids and sepa­rated from one another by "ventilators" : vertical slits covered by metal mosquito netting and furnished with a pivoting shutter. 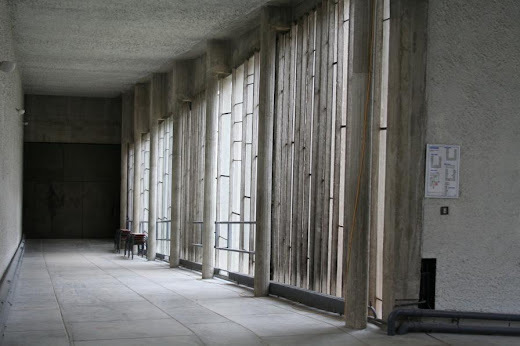 The covered walks of the cloister are enclosed with "waves". 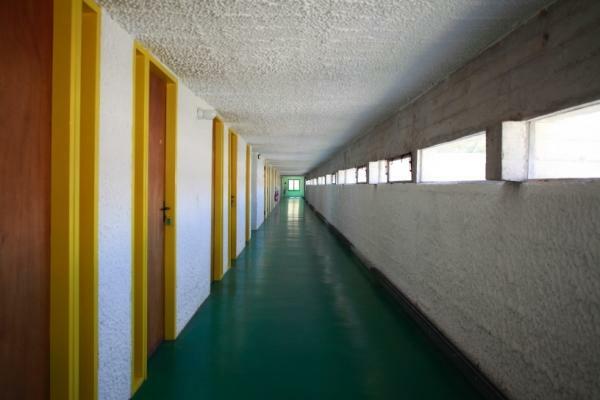 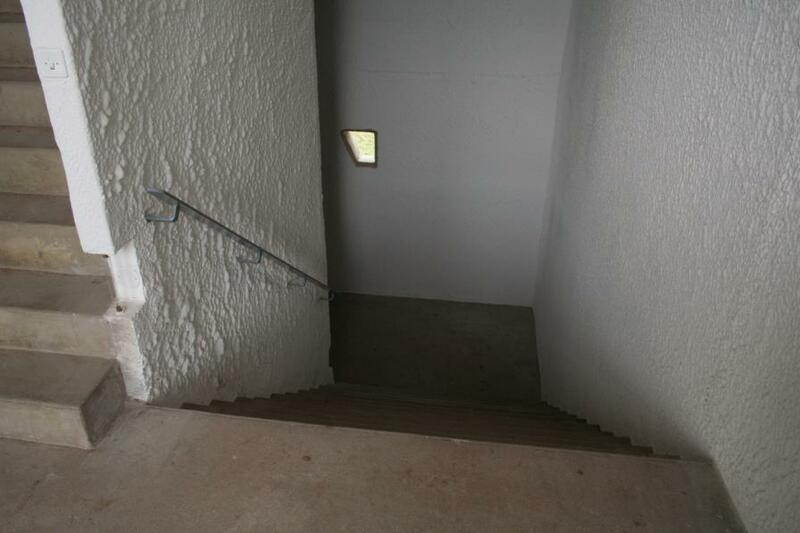 The corridors leading to the dwelling tells are lighted by a horizontal opening located under the ceiling.